The Celestron 52320 is a 10-30x 50mm LandScout spotting scope that is easy-to-use and perfect for any outdoor activity. It's compact and lightweight design is ideal for carrying with you on a backpacking trip or hiking excursion. The fully coated optics provides clarity and minimum color aberration. 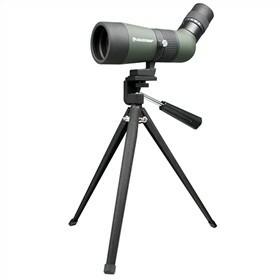 This 50mm LandScout spotting scope has a 10-30x magnification, 3.2-1.7° angular field of view, and comes with a convenient metal tabletop tripod. 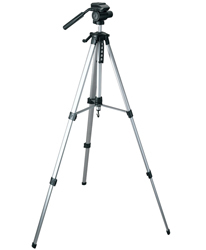 The Celestron LandScout 10-30x50 has many exciting features for users of all types. You can extend the lifetime of your Celestron LandScout 10-30x50 with the purchase of a FactoryOutletStore Factory Protection Plan. See the Celestron LandScout 10-30x50 product video above for more details. 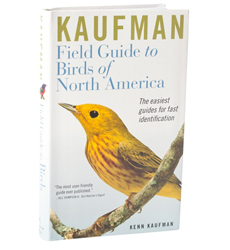 FactoryOutletStore stocks a full line of accessories like Celestron Field Guide to Birds of North America, Celestron LensPen - Optics Cleaning Tool, and Firecel Portable Charger / Light for the Celestron LandScout 10-30x50 . The Celestron LandScout 10-30x50 is sold as a Brand New Unopened Item.